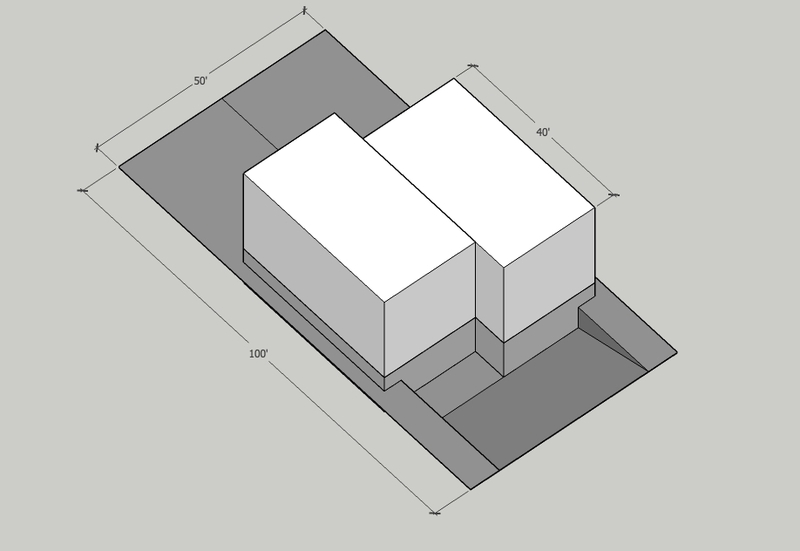 The side-by-side duplex with garages below units is the modern day cousin of the twin-house duplex. 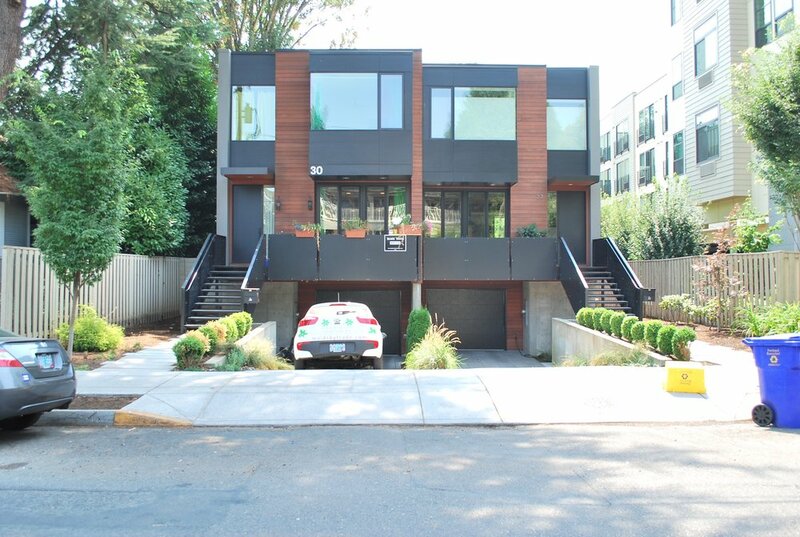 Unlike its historical precedents, the modern twin house is dominated by parking and is not a rental but sold as a townhouse. This example was constructed three years ago adjacent to the Vancouver/Williams corridor. 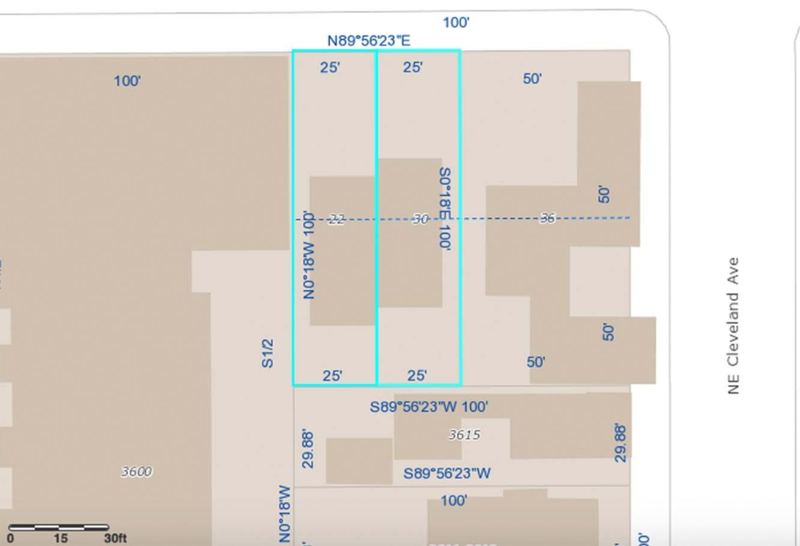 The land is zoned R2.5, or one dwelling per 2500 square feet of lot. In this zone, development typically takes the form of a builder purchasing and demolishing a low value house, partitioning the lot down the middle and erecting this type of duplex, with a shared common wall on the new lot line. The market and the building industry’s preference for secure, off-street parking and the ease of selling a building, rather than holding it as a rental explains its difference from pre-war duplexes. The horizontally separated twin-house format makes fee simple partition and sale relatively easy (as opposed to condominiumization of a stacked duplex), and it also makes it easy for each unit to have its own garage with direct access. Individually, there is nothing inherently bad with this building, but we believe the cumulative impact of redeveloping neighborhoods with these parking-forward structures is undesirable. 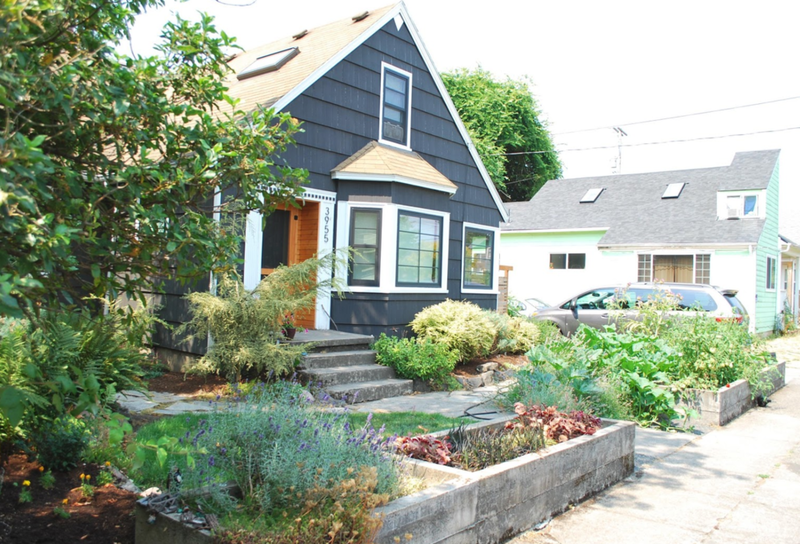 The social and environmental benefits of front porches, stoops and small green spaces in front of dwellings have been well documented by the New Urbanist movement, and those factors lead the City of Portland to end the practice of “snout-house” building two decades ago. Like our NE Mallory case study, this building represents a typology that is likely to proliferate if the proposed Residential Infill Project is not modified to address aspects of building design and typology.